Adam K. Raymond's Vulture piece remains a clear winner. If you bookmark just one article today in connection with the 2016 Golden Globe nominations, let it be freelancer Adam K. Raymond’s rundown of the journalists who make up the Hollywood Foreign Press Association (HFPA). Lu has an interesting distinction among her HFPA peers: She’s the only one who’s also a member of the Academy of Motion Picture Arts and Sciences. She’s also probably the most successful actress in the group, having worked for many years onscreen and stage in the U.S. and China. 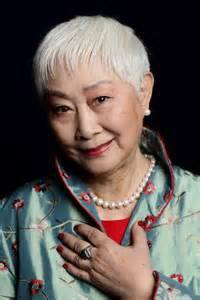 Her most recognizable role was in 1993’s The Joy Luck Club. Remember that amazing Wes Anderson acceptance speech from the 2015 Globes, where he started waxing poetic about the names of HFPA members? Raymond’s article is the journalism equivalent, highlighting the mix of legitimate and fringe that makes up not just this awards-related organization but others as well.